Colorado's army of athletes prevails over hungry Wisconsin and talented field. AUSTIN, TX– Nearly ideal conditions this weekend at the University of Texas Intramural Fields in north Austin allowed the strongest teams to showcase their abilities at a wild Centex with close games in every round of play. When the dust settled, it was #13 Colorado Mamabird who emerged unscathed, with an undefeated weekend capped off by a dramatic double game point win in the final. Going into the championship game, it was hard to say which of the two teams had an edge on the other. The #19 Wisconsin Hodags breezed through their power pool on Saturday, finishing with a 13-9 win over top-seeded Texas in which their offense looked to be in complete control. They faced more of a test on Sunday, but were able to grind out wins over pesky Colorado State and LSU teams. Meanwhile, Colorado seemed only to strengthen as the weekend went on, handling Dartmouth before thoroughly dispatching Texas 15-7 in their semifinal. Each team was without one of its mainstays – Colorado’s Quinn Finer was in a sling on the sidelines Sunday after suffering a fractured elbow on Saturday, and Wisconsin’s Nick Vogt tweaked a hamstring and came off during the final point of their quarterfinal matchup. Each team had demonstrated physical person defense and smooth, well-practiced offense. The game itself was, appropriately, tightly contested. Initially, the two teams traded clean holds, feeling each other out defensively. Wisconsin got the first break on the sixth point of the game to take an early 4-2 lead. Their defense, led by quick, fierce handler Sam Hebert, big thrower Daniel Garlock, and playmaking cutter Jeff Maskalunas, was an imposing force all weekend, specializing in striking quickly on offense when they were able to force turns. The wind, which varied in impact throughout the weekend, also helped Wisconsin in the first half. They strung together a couple more breaks and were able to take an 8-4 lead into half, but the game felt by no means out of hand. Sure enough, Colorado turned up the intensity on defense in the second half, hounding the Hodag handlers into mistakes. After the initial hold, they ran off four straight breaks to retake the lead at 9-8, highlighted by a massive chase-down block and corresponding assist by Alex Tatum. The Mamabird unit showed an innate ability to maximize defensive momentum in both the Texas semifinal and the final game. After a couple of important holds to tie the game at 10-10, Garlock unleashed a beautiful hanging pull downwind that pinned the Colorado offense in their own end zone and forced a high-stall huck. A couple throws later, Wisconsin’s Harry Bielski got the break back with a tumbling grab, and the game was truly on. The two sides traded punches with Wisconsin breaking to go up 13-11, only to have Colorado’s Mathieu Agee run down a huck to tie it up again at 13-13. Hard cap caused the next point, a long one in which each team had a real chance to score, to become the final point of the game. A discussion ensued when Wisconsin receiver John Tan and Colorado defender Alex Atkins went up for a huck in the end zone. Atkins knocked it away, but Tan felt he was fouled in the air. With no observers on hand, Tan eventually rescinded his call. Colorado worked the disc back downfield and punched in the final score for the title. On the other hand, playing a complete game seemed to be an issue for #4 Texas TUFF. They took third place at their home tournament, but were a razor’s edge away from a significantly worse result. After starting out strong with a 13-5 drubbing of in-state rival Texas A&M, they took half on Illinois, but allowed the no. 8 seed to tie it and then take the lead in the second half before waking up and getting three straight breaks to win on double game point. Forced to immediately turn around and play Wisconsin, they dropped into a 3-0 hole early, and never fully recovered. A similar situation plagued them on Sunday, as they couldn’t seem to shake an upstart Iowa State squad in their quarterfinal matchup and escaped with a 15-14 win that left them vulnerable to the rabid Colorado defense. They went down 3-0 and 7-2 and never mounted a real comeback. Colorado employed a spongy zone look where they sagged in the throwing lanes until midfield, taking away the options and frustrating Texas handlers Mutahir Ahmad and Jake Sames. In the end, TUFF only lost to the two teams in the final at Centex, and they’ve done enough early in the season to keep them firmly in bid-earning range, but with no more regular season tournaments on their slate, they will need to refocus in the coming weeks to prepare for a tough Regionals. Upon encountering their small roster, jean shorts, and big personalities, teams might have been tempted to overlook LSU this weekend. When the game began, however, they would quickly realize their mistake. Grant Odenwald, Nicholas Major, the Reviere brothers, and the rest of the Baton Rouge boys scored key one point wins Saturday over South Central opponents Colorado State and UT-Dallas. On Sunday, they took advantage of a favorable bracket setup to get their chance at Wisconsin in semis, giving them all they could handle in a 15-13 loss. Speaking after the semifinal, coach Tyler Steindorf praised his team, discussing the big picture approach they took to the tournament: “We weren’t going to run the same seven on O and D the whole time, we were making changes across the line, trying different looks. The overall goal of making a bid at Regionals is the number one goal here, not winning a tournament. I thought people got good experience against a well-coached and well-conditioned [Wisconsin] team with good throws… we held the second half, so I’m pretty pleased with that outcome.” With their results, LSU sits a few spots outside bid-earning range according to Ultiworld’s Cody Mills. Notably absent for them this weekend was big-play magnet Jeff Oravic, who faces eligibility concerns that may impact their ranking. LSU leadership chose not to comment on Oravic’s status. It was a rollercoaster weekend for #16 Colorado State Hibida, who came into the weekend as no. 3 but started off 0-3 on Saturday, including a double game point loss to LSU on a deflected huck and one of the toughest tests anyone gave Colorado at the tournament. After barely qualifying for the bracket, they put in a strong Sunday, taking Wisconsin down to the wire in quarters before dismantling Oklahoma State and Dartmouth to finish in a respectable fifth place. According to USAU’s algorithm, they have dropped from barely inside to barely outside bid-earning territory, and will wait anxiously to see how other teams fare in the late stages. More bad news for the South Central region: #22 UT-Dallas and #23 Texas A&M each had dismal outings, managing three combined victories (although they again managed to avoid playing each other). They each dropped their prequarter matchups in surprising fashion, and finished 12th and 10th at the tournament respectively. Iowa State was the Cinderella story of the weekend. According to coach Brian Schoenrock, Centex was the team’s first spring tournament and first time playing outdoors together after a brutal Midwest winter. They were originally placed in Tier 2 for the tournament, but after explaining the situation, were elevated to 15th seed out of 16 in Tier 1. They promptly finished second in their pool, upset UT-Dallas in prequarters, and then nearly pulled off the upset of top seed Texas in quarters, falling 15-14 on double game point. The Scott Hearne-Jack Loy connection was on display all weekend for the huck-happy ISUC squad, who will get another chance to prove themselves at Huck Finn in two weeks. 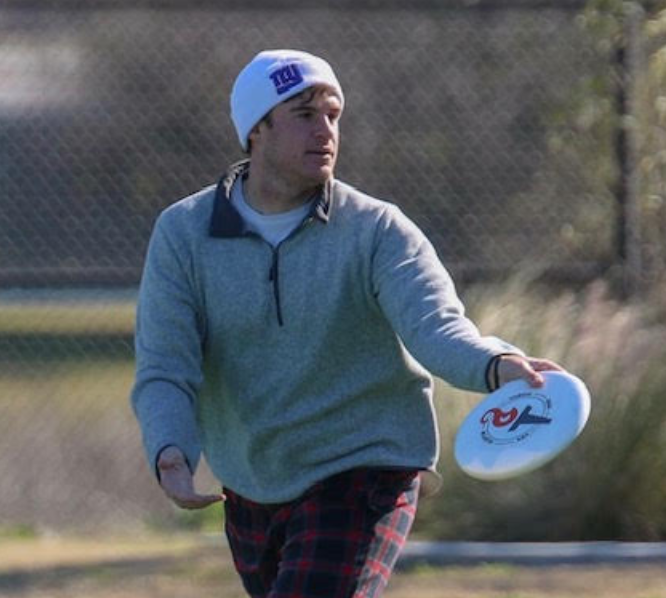 Sean Brady is an Ultiworld reporter based in Austin, TX. He is a proud alumnus of the incredible Notre Dame Ultimate community. You can contact him via email (sbrady8@alumni.nd.edu). 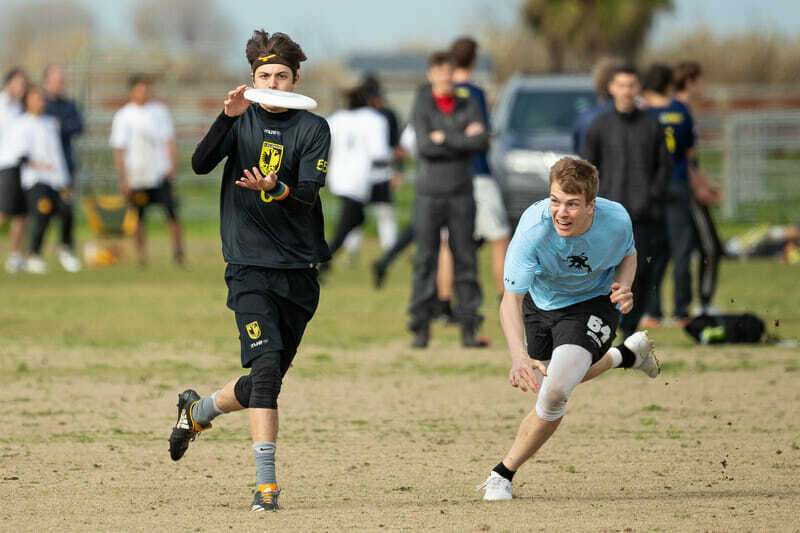 Comments on "Centex 2019: Tournament Recap (Men’s)"